The Shamanic Breathwork(®) Process is a powerful healing process that inspires individuals to Awaken the Shaman Within™, reconnecting with their own inner healer. As old wounds and dysfunctional patterns are released and transformed, individuals begin to regain lost soul parts and remember the magic of who they truly are. Empowerment brings wholeness and healing back into their own lives, to the lives of those they love, and to the world at large. This process is highly experiential and the wisdom and healing gained comes from each individual’s inner experience. Shamanic Breathwork(®) honors and blends the timeless wisdom of ancient traditions with the emerging new paradigm methods of healing and teaching. It functions as the rainbow bridge between these two worlds honoring the best of both worlds while creating a bridge for body, mind, heart, and spirit. In the past, and still in some remote areas, the Shaman was sought out much as a physician, counselor or minister is today. In the Shamanic tradition of old, the healer (Shaman) attempted to restore healing and balance to others by performing sacred rites or ceremonies which usually included prayers, songs and chants. They would also journey into other realms while being assisted by power animals, spirit guides and allies. The Shamanic Breathwork(®) Process differs in that it is aimed at awakening the inner Shamanic Healer in persons undergoing the Breathwork process. There is ample support from Shamanic Breathwork(®) Facilitators and co-journeyers to assist during the session to enable a safe journey for the participant. The process begins by establishing sacred space through various rituals and ceremonies such as smudging with sage, cedar and sweet grass while offering prayerful invocations. Individuals lie down and focus on surrendering to the healer (Shaman) within, calling upon that which is most sacred and holy to them, such as guides, power animals and higher power. The drumming then begins which leads into a powerful musical journey varying in length from one to two hours. As the individual uses the power of deep connected breathing to create a natural altered dreamlike state, the Ego defenses are released and the journey unfolds in a variety of ways. Each person’s shamanic journey is a highly individualized process and no two are ever the same. Some of the states of consciousness reported range from divine, otherworldly bliss states to the struggle to be released from negative forces in the psyche. Rebirthing is a common occurrence, as is the life review where one relives or observes their lifetime experiences. Old patterns of dysfunction may be brought to the surface. Addictions are sometimes healed during this process, as feelings such as grief, fear, rage and anxiety are released. The Shamanic Breathwork(®) Facilitators have undergone this process many times in the course of their training and are loving guides for the participant’s journey. The process may require the Shamanic Breathwork(®) Facilitator’s skills and attention; a variety of psycho-spiritual tools may be employed to assist the participant. Some of the most commonly used methods are bodywork, Reiki (energy work), Soul Return and extractions. The most powerful healing tool our facilitators bring to the person breathing is their open and loving hearts and minds, with a willingness to support and travel with the journeyer wherever they may need to go. This is the essence of what Shamanic Breathwork(®) is all about. Describing the process really does not do it justice. One must experience this powerful shamanic journey and it’s healing from the inside out. 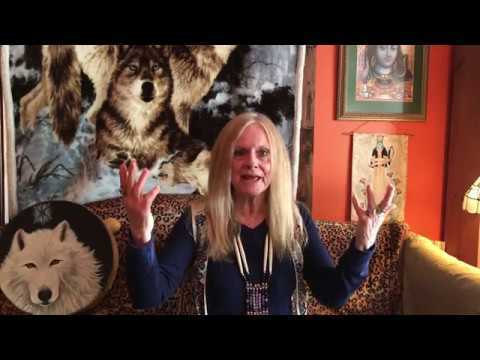 Venus Rising is the organization founded and committed to bringing the Shamanic Breathwork(®) Process and other shamanic psycho-spiritual teaching and healing modalities to the world. It is Aquarian in nature, which essentially means we believe that while teachers, shamans, healers and gurus may be wonderful guides along the path to spiritual awareness, the Piscean Age (Age of the disciple) is ending and we are all being called to embody the Shamanic Spirit within our own selves. Our planet is experiencing a wake-up call and so are we. The time to heal is now, the time to remember who we really are is now, and the time to take our creative healing visions back to our communities is now. Please contact Venus Rising for more information about The Shamanic Breathwork(®) Process.